The rise in allergic disease prevalence over the last three decades has placed significant burden on healthcare systems to provide quality care to allergy sufferers. Currently there is an urgent need for allergy specialisation in primary care to meet the demand in allergy treatment and reduce waiting times. 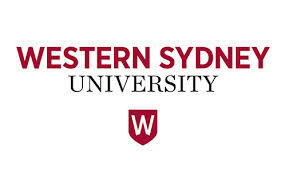 Offered through the University of Western Sydney, the Graduate Certificate in Allergic Diseases is designed for medical practitioners, particularly general practitioners and paediatricians, who want to improve their care of patients with allergic diseases and gain a greater understanding of allergic disease management. Entry is open to registered medical practitioners in Australia and New Zealand. The immunisation coordinator at the public health unit has advised that GPs and AMSs can now order varicella vaccine for catch up of year 7 students who missed a dose at school in 2015. The vaccine can be ordered through your usual online ordering processes. Phenytoin – diltiazem: admitted due to unsteadiness on feet for 2 weeks. Phenytoin level found to be 153umol/L probably caused by concommitent use of diltiazem started 2 weeks prior to admission for SVT. Fentanyl patch – Oxycodone/naloxone: admitted due to sedation secondary to narcotisation requiring nalaxone IV. Patient was on Durogesic 50microg/hr patch + Targin 15/7.5mg twice daily prior to admission. Oxycodone – Paracetamol/codeine: Narcotisation requiring Naloxone reversal and admission. GP prescribed PRN endone on top of existing regular Panadeine Forte use. Buprenorphine – temazepam: recently commenced Norspan patch 5microg/hr weekly with Temazepam. Patient presents with confusion, nausea and vomiting. Indomethacin – clopidogrel: symptomatic anaemia whilst on indomethacin and clopidogrel.